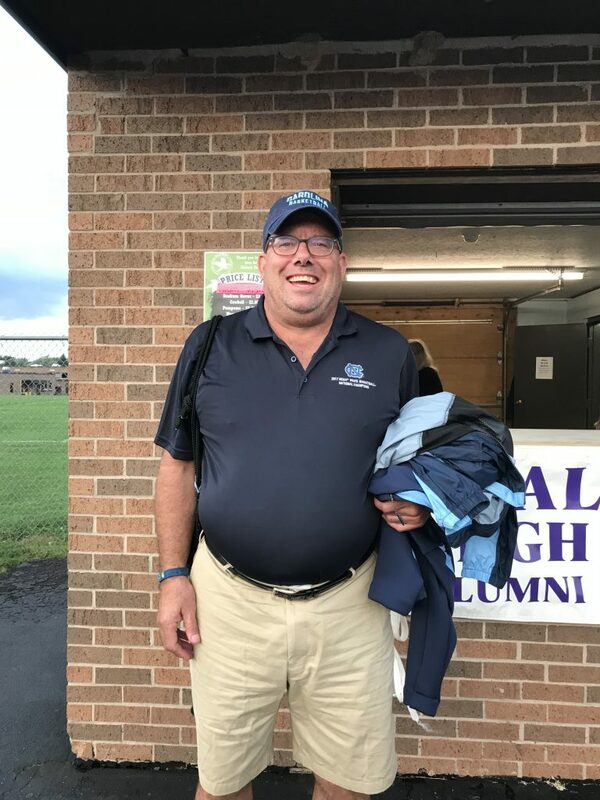 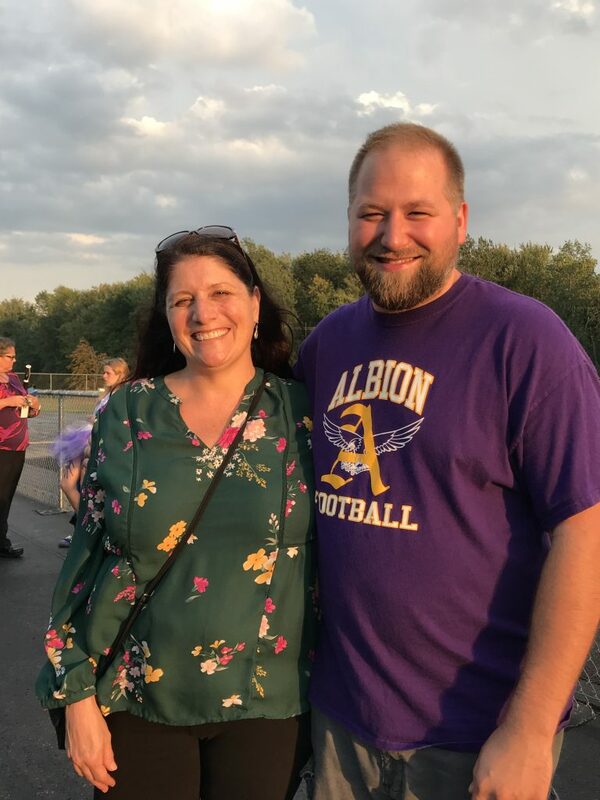 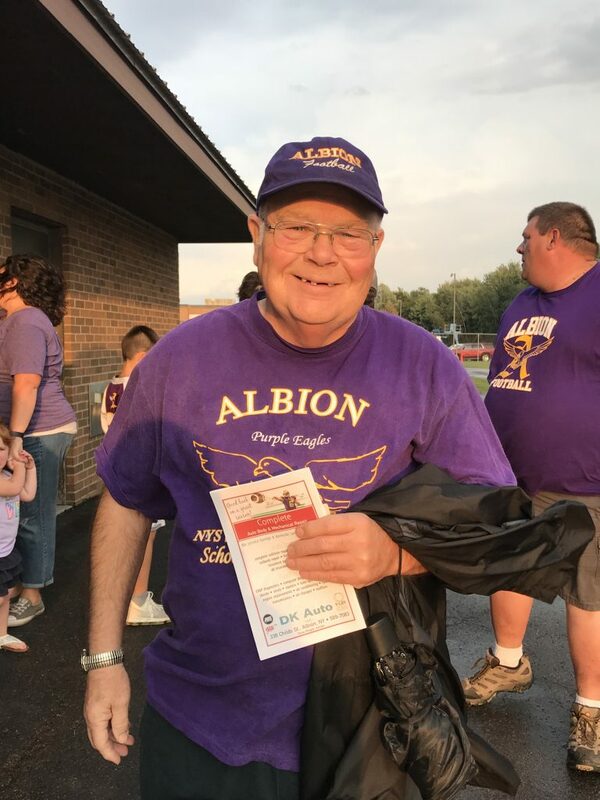 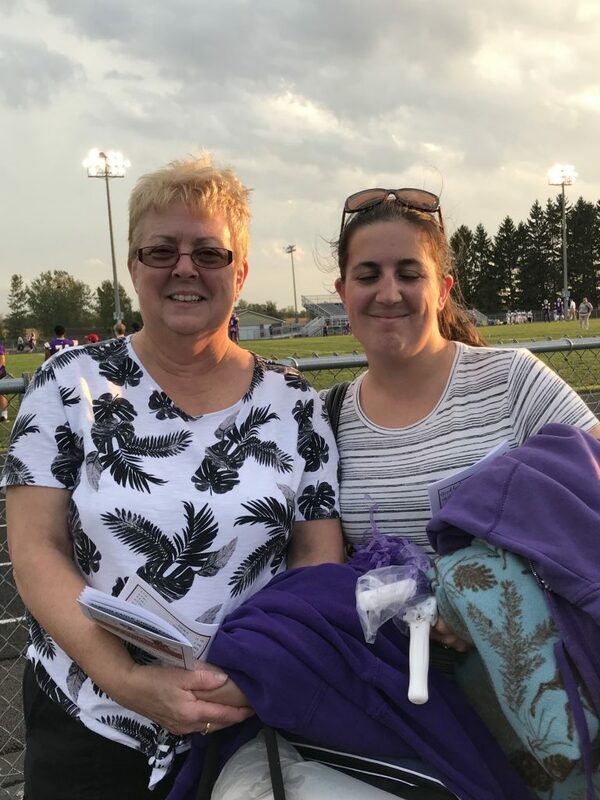 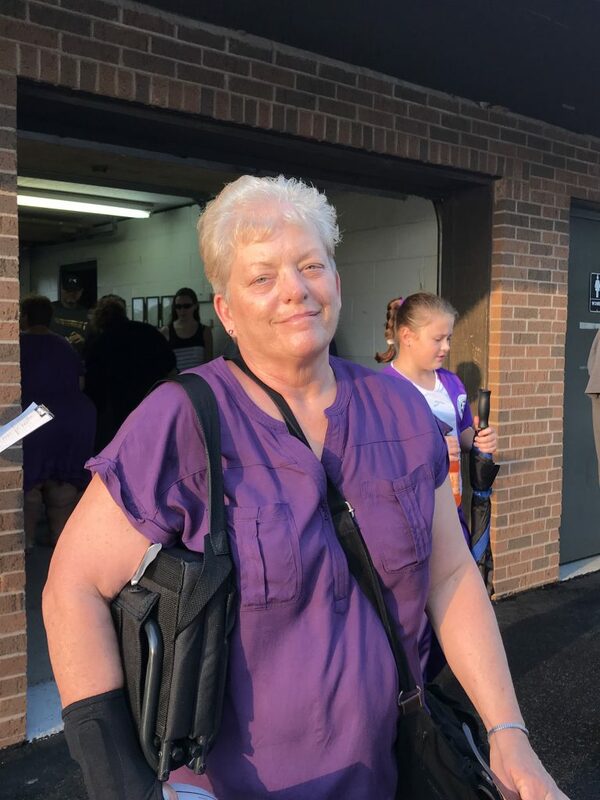 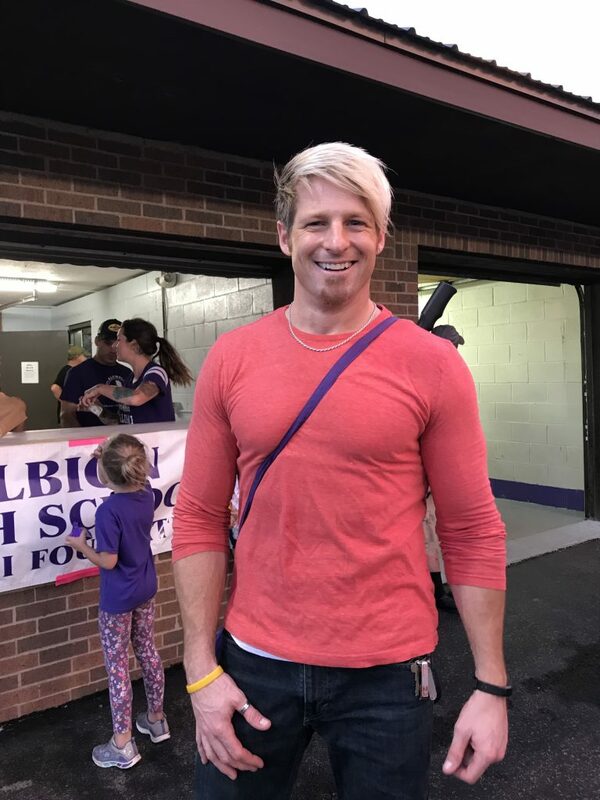 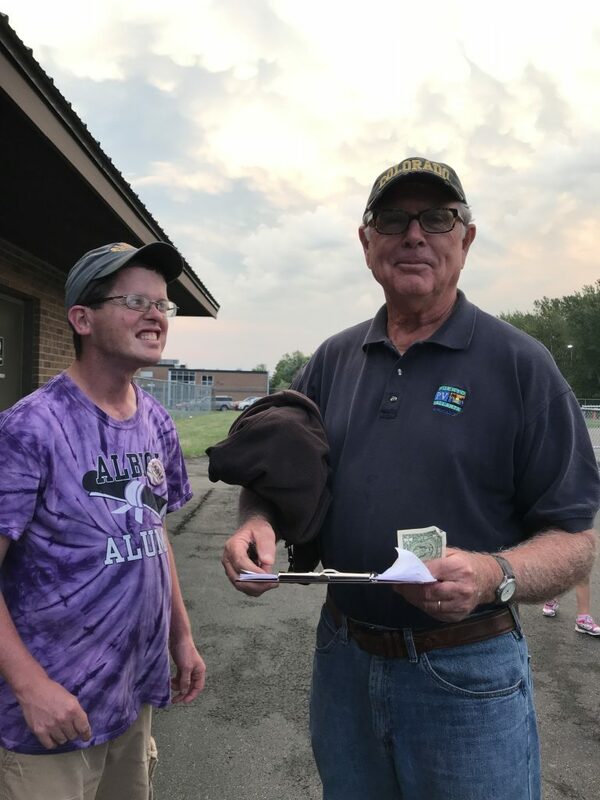 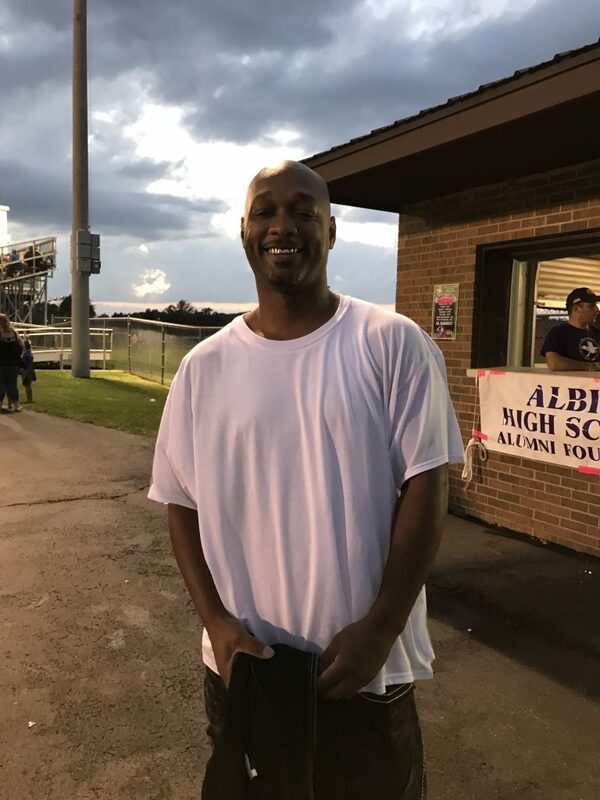 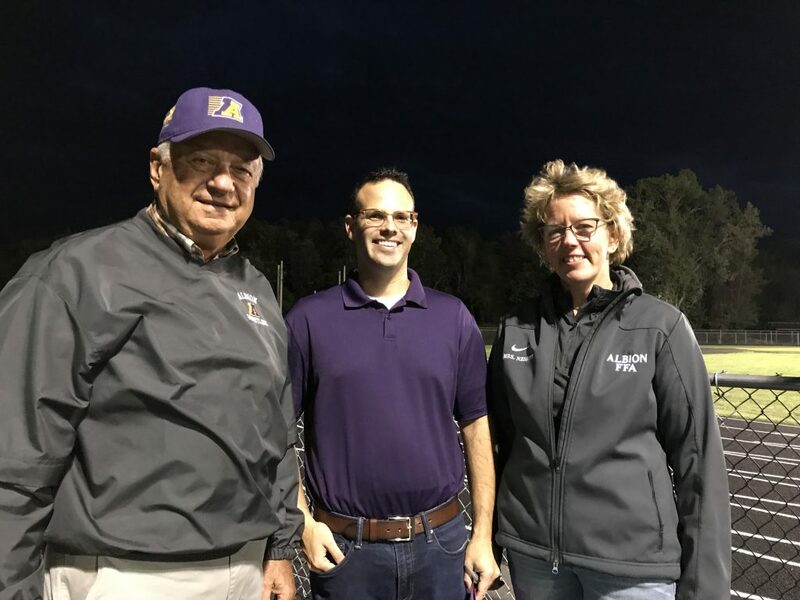 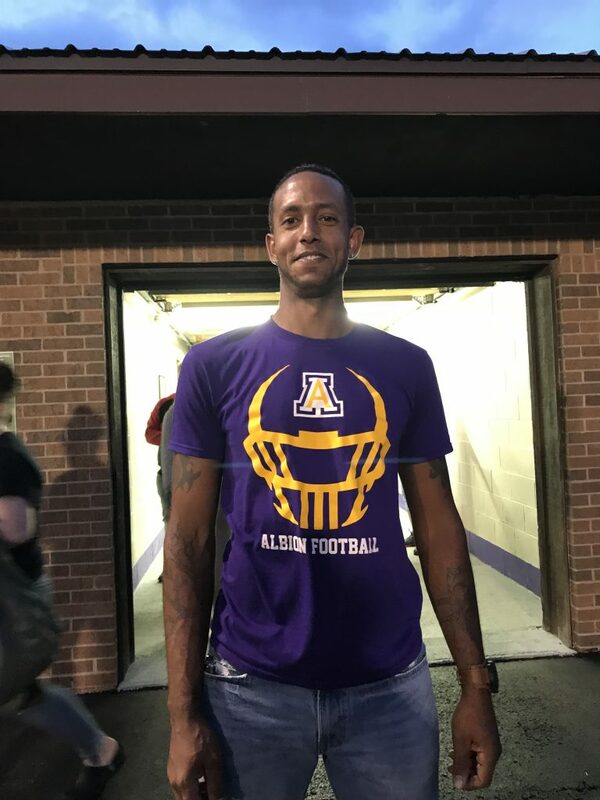 The 2018 Homecoming game was held on Friday, September 21st and resulted in a BIG 35-0 win over Depew and added to the undefeated streak for our Albion Purple Eagles! 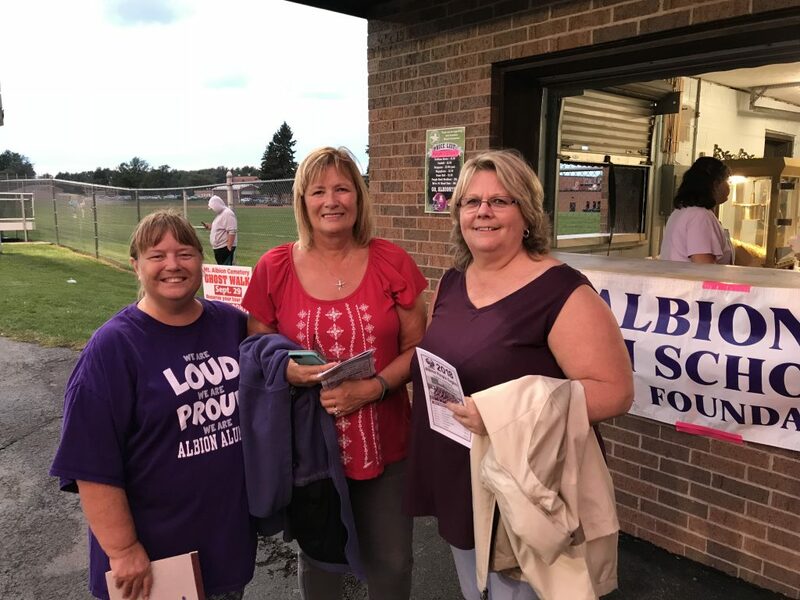 Here are just a few of the Albion HS Alumni that attended the event and visited us at the AHS Alumni Foundation Booth. 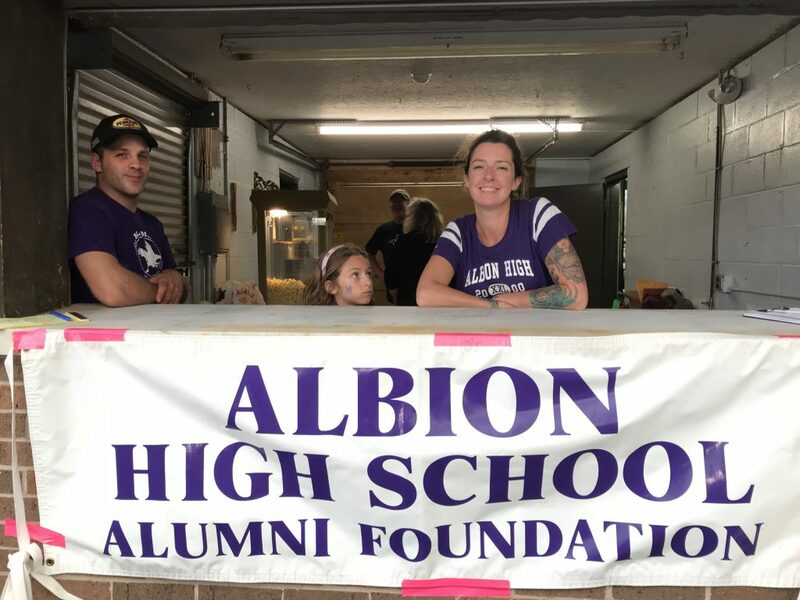 Manning the AHS Alumni Foundation booth was a family affair with Pat Olles, 2000, daughter Hannah, and wife Marissa (Minier) Olles, 2000, member of the Foundation’s Board of Directors. 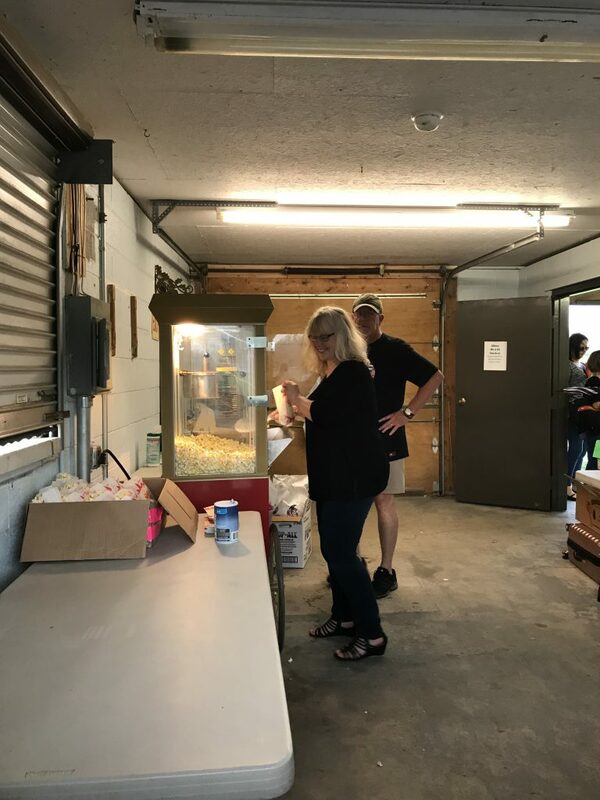 Along with popcorn, the Alumni Foundation booth sells horns, beads, bells, megaphones, and other items to the Purple Eagle fans! 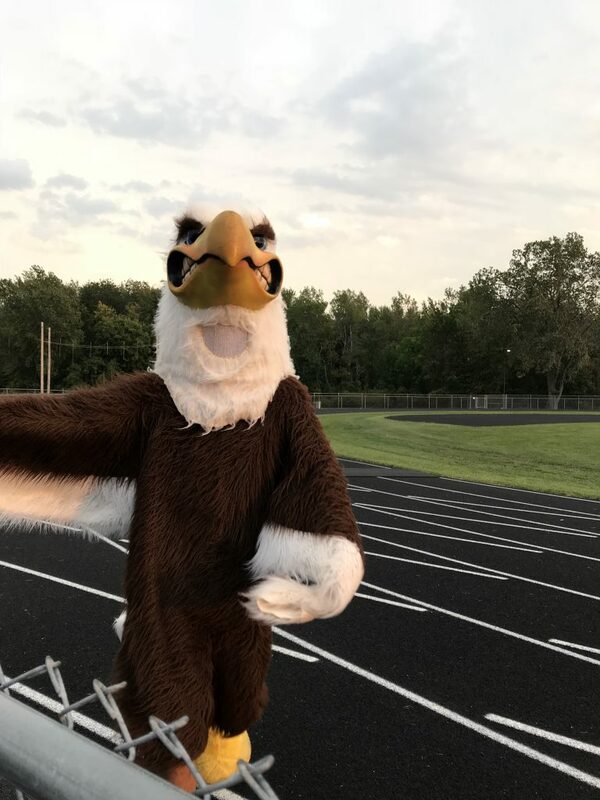 The Eagle was there cheering on the home team! 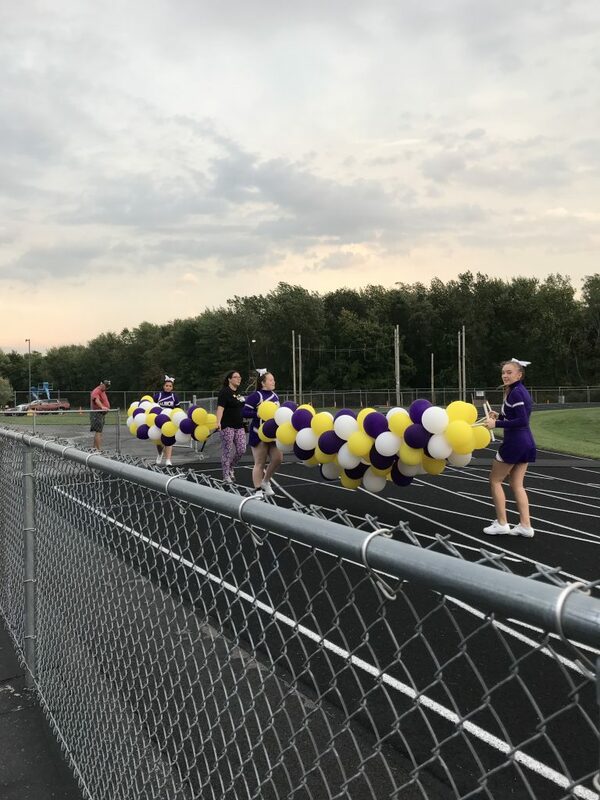 Cheerleaders delivering the balloon arches to the field! 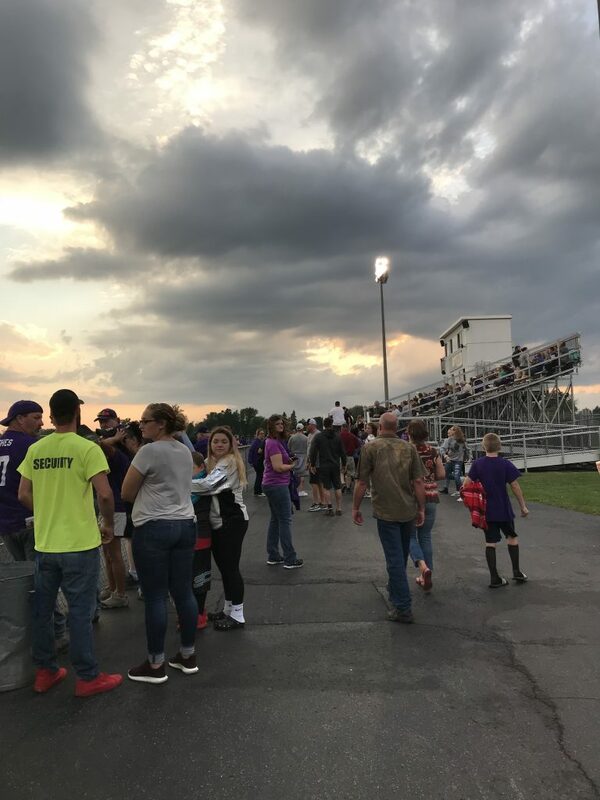 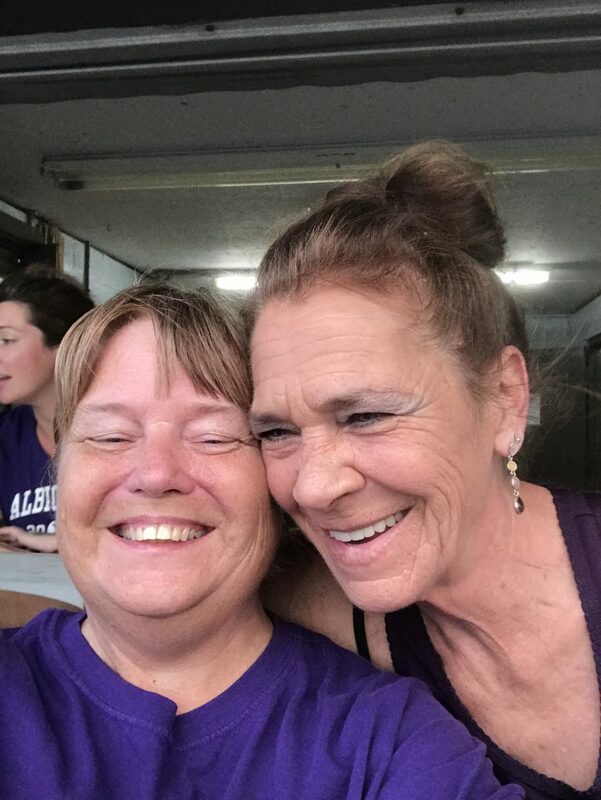 The threat of storms didn’t keep the fans from coming out to cheer on our Purple Eagles! 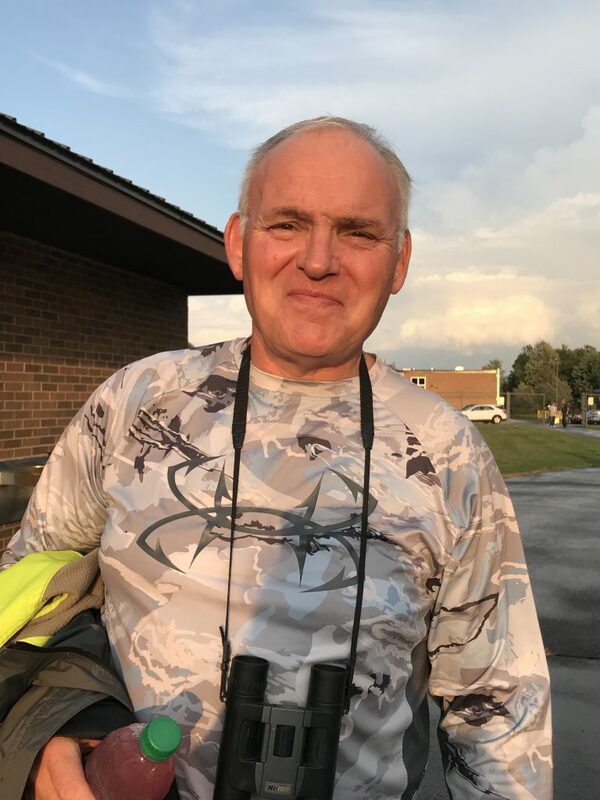 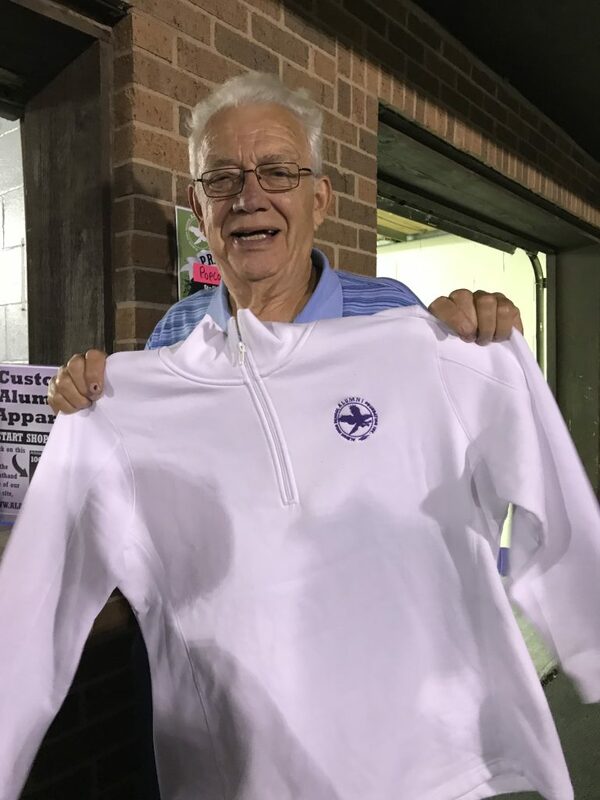 Larry Harvey, Class of 1959, who chose this stunning sweatshirt as his prize! 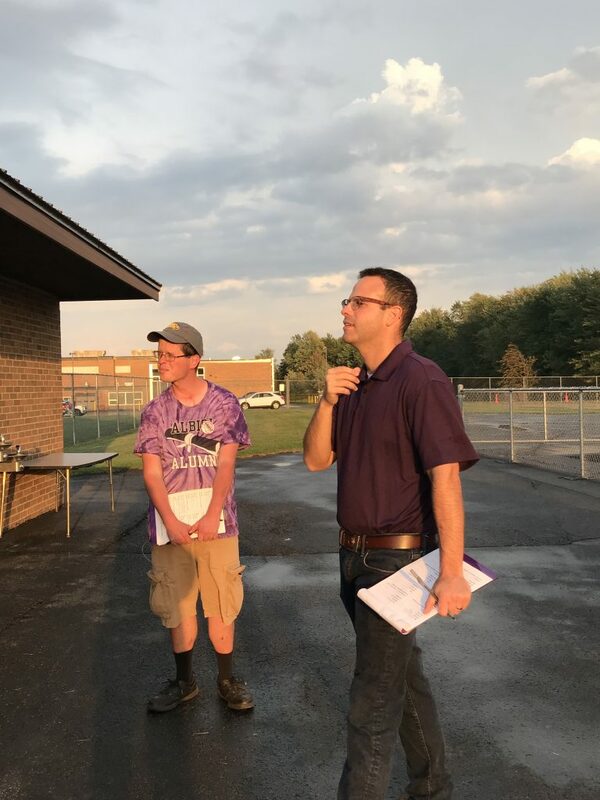 Congratulations to our Purple Eagles team on their win! 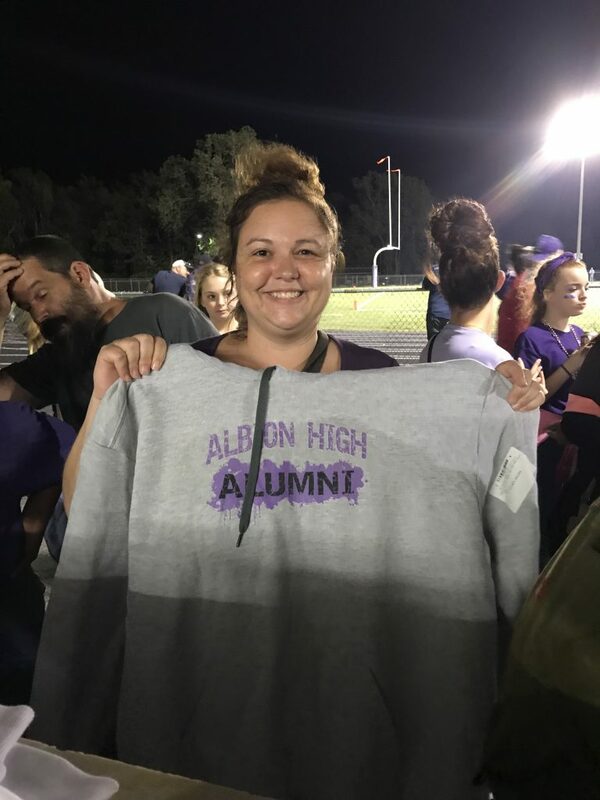 We were so happy to be there to watch it and to greet so many of our amazing alumni! 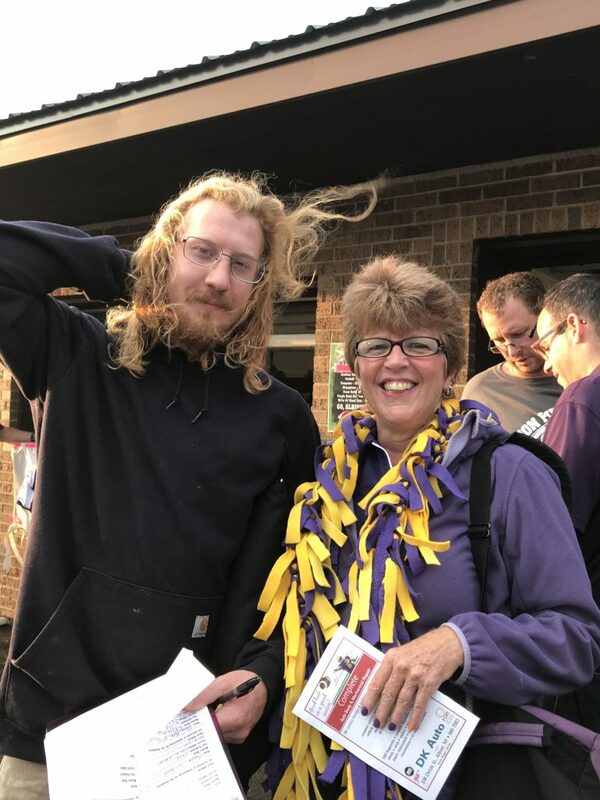 We look forward to seeing you all next year! 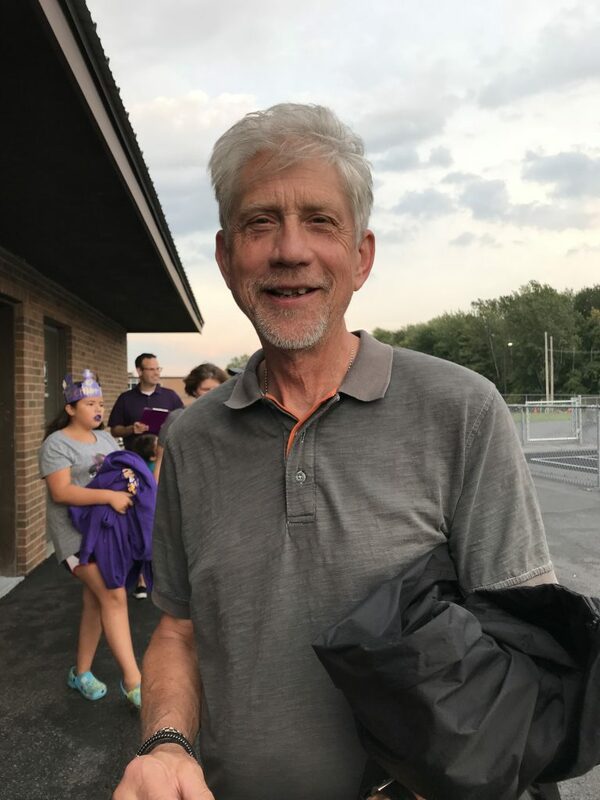 Next Post Class of 1968 Reunion pic!